PUCET 2019 Registration has been Started on 22nd April 2019 for PG Courses. Panjab University is the official authority to conduct the PUCET 2019 entrance exam. PUCET 2019 Admit Card will be available on 27th April 2019. 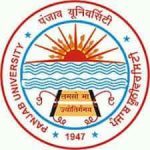 PUCET is referred to as e Panjab University Common Entrance Test (PUCET) it is a university level entrance exam of Chandigarh state. 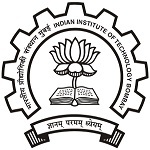 The official authority of Panjab University conducts PUCET 2019 entrance exam. PUCET 2019 Exam Dates has been Revised. The UG Examination will be held on 30th April 2019. Through this exam, candidates can get into B.Pharmacy and B.Sc. (Hons.) Courses. PUCET 2019 entrance exam is conducted by authority once a year. Here on this page, we have mentioned details about PUCET 2019 Entrance Exam which includes Application Form, Exam Dates, Eligibility Criteria, Exam Pattern, Admit Cards and Syllabus Etc. PUCET 2019 Registration has been Started on 22nd April 2019. Click Here to Check Application Details. PUCET 2019 Admit Card will be available on 27th April 2019. Click Here to Check Admit Card Details. PUCET 2019 Exam Dates has been Revised, the UG Exam will be held on 30th April 2019 and 8th, 9th June 2019 PG exam. Click Here to Complete Details of Exam. Here an important date of PUCET 2019 entrance exam is given. In table important events dates are provided so candidates can attain without any fail. Following PUCET 2019 exam dates below are given so check it properly. We have mentioned the exam dates of PUCET 2019 entrance exam. We will update the official dates after it will be declared by the official authority. For PU CET PG Exam Dates. Those Candidates who have successfully registered for the PUCET 2019 entrance exam can only download their PUCET 2019 admit cards from the website. Candidates will be informed through email for this purpose of the releasing of admit card. To download the admit cards candidates will need to enter the Login ID and Password provided while generating Bank Challan. PUCET 2019 Admit Card will be available from 27th April 2019. Admit card will be issued by authority on the online official website only. All candidates have to carry they admit cards at the examination hall. PUCET 2019 Answer Key will be available after the exam. PUCET 2019 application form has been Started from 5th April 2019 and Closing of application form is 19th April 2019. Fill all details in the form and submit it before the due dates. Candidates are advised to fill the application form carefully. PUCET 2019 Registration has been Started on 22nd April 2019 for PG Courses. Candidates can be filled Application till 17th May 2019. After submission of the application form, no modification will be allowed to do in the application form. PUCET 2019 Application Form has been Released on 5th April 2019 for UG Courses. Candidates can be filled Application till 19th April 2019. Candidates have to upload the scanned image of photograph and signature after filling the required details. After the submission of application fee application form will be completed only. Keep printed copies of the filled-in application form for future use. PUCET 2019 application form can be paid through online mode. All candidates have to pay application fees according to candidate’s category wise. The application fee can be submitted in any branch of State Bank of India using a website generated Challan. The application fee will be non-refundable or non-transferable. Candidates must look at provided PUCET 2019 eligibility criteria and also should check whether they can apply or not. Check full eligibility criteria of PUCET 2019 to satisfy the below conditions to be eligible. Minimum Marks: It is mandatory to score a minimum of 50% marks an in12th class. Subjects: English, Physics, Chemistry and one of the following subject: Biology/Biotechnology/ Mathematics are necessary for having a 12th class. The Exam will be Held on 30th April 2019 for UG Courses. The PUCET 2019 entrance examination is organized in offline mode means pen and paper-based test. The question asked in the paper contained Multiple Choice Questions. The paper should be completed within 70 minutes for each section and 20 minutes extra will be given to the PWD candidates. Here, we have given the PUCET 2019 exam pattern for B.Pharma and B.Sc (Hons.). Test Center: The exam will be held in Chandigarh only. Marking Scheme:2 marks will be awarded for each correct answer. The medium of Exam: The exam will be asked in the English language. Candidates must prepare for the exam from PUCET 2019 syllabus prescribed by the authority. PUCET 2019 syllabus will be prescribed by the university. PUCET 2019 syllabus includes topics of 10+1 and 10+2 standard. 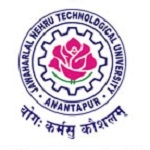 Candidates can get PUCET 2019 syllabus on the university website. The syllabus will be comprised of subjects Mathematics, Chemistry, Physics and Biology subjects. Candidates should know the complete syllabus given by the authority for the examination. Make proper scheduled for study according to the syllabus. Candidates must study on a daily basis and follow it strictly. Collect all details of the exam pattern, syllabus and marking scheme of PUCET 2019. Don’t skip any important topic from the syllabus. Maintain your health for the exams. 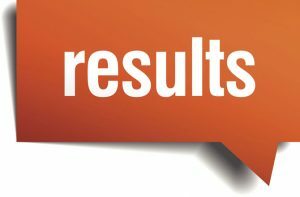 Students appear in exam PUCET 2019 can check their PUCET 2019 Result entrance exam. University will declare the PUCET result 2019 Declaring on 13th-15th May 2019. Candidates have to fill the admission form for admission procedure those are qualified. List of ‘Qualified’ and ‘Not Qualified’ candidates will be published by the authority. For PCB/PCM and Mathematics, a merit list will be declared. Through online mode on official portal candidates will be able to check the PUCET 2019 result. Keep copies of it and make sure to keep safe because it will be needed for the admission process. The university will provide the admission form for admission procedure only for the eligible candidates after the declaration of result. Candidates have to fill the choice of Course(s)/ Department(s) in the admission form only. PUCET 2019 counseling will be held in various rounds depending upon the availability of seats. The university will conduct physical counseling if the seats will remain vacant after the second round of counseling. The candidates will be called on the basis of the merit list for the counseling and they will be selected on the bases of the entrance test score. Candidates have to submit a list of official documents for verification and Xerox copies of the same for submission. The PU CET test is conducted only in Chandigarh.